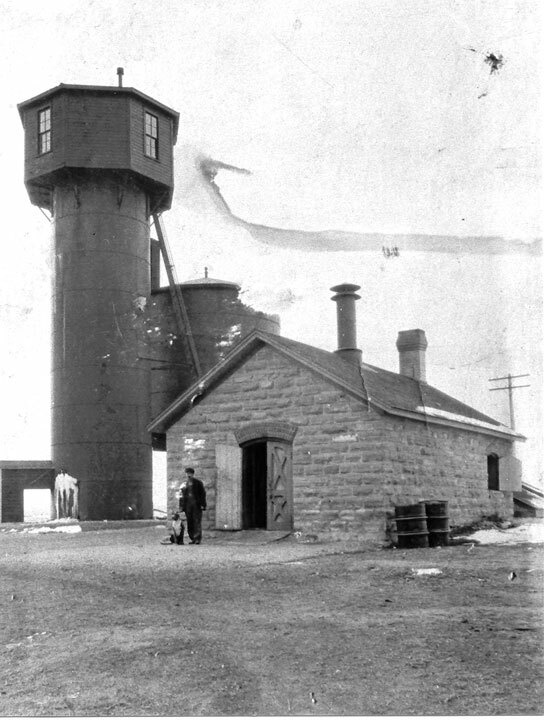 The Union Pacific Railroad Pumphouse in Kit Carson supplied water for steam engines and is thought to have been constructed in the 1870s. 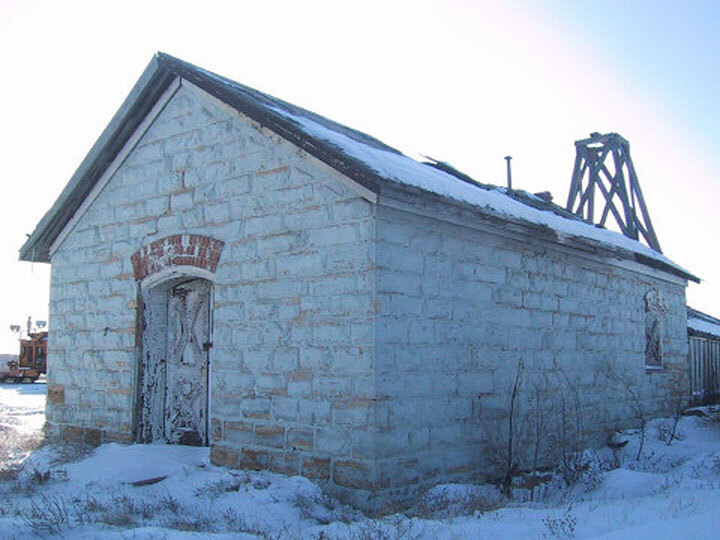 The sandstone block and brick building has a towered board and batten rear addition that once housed the well from which water was pumped, an unusual example of masonry for a railroad utility building and considered the only extant structure of its kind in Colorado. The pumphouse is associated with settlement of Colorado’s eastern plains and the development of the railroad. Located at the end of the rail line, Kit Carson boomed to a population of 1,500 and became a junction point for the Kansas Pacific route and the first passenger train to Denver. In 1880, Jay Gould sold the Kansas Pacific Railroad to the Union Pacific. The building is listed on the State Register of Historic Properties and believed eligible for the National Register. Colorado Preservation, Inc. contacted the Union Pacific (UP) to discuss the fate of the pumphouse. UP, concerned that the building’s deterioration and proximity to tracks is hazardous, is willing to entertain the idea of improvements only if immediate. They have suggested that the property be moved, though this is not final. If the site can be stabilized and meet other provisions they may allow it to remain in place. The Kit Carson Historical Society, who is working to acquire the property from UP, has received funding to assess the building’s condition, and continues to research its history.